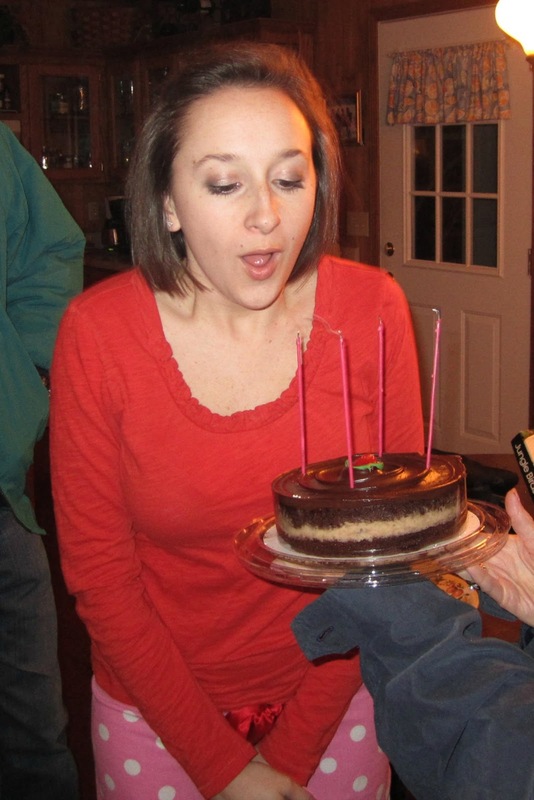 Oh my goodness, this was one fun weekend. Friday after work, Ian and I packed up the car and hit the road to head down to my family's lakehouse in South Carolina. We arrived just after my sister and her husband did from their home Greenville, and we stood around the kitchen with my parents, poured a little drink, caught up, and headed out to dinner. The six of us get together quite frequently, and you can be guaranteed that there is always a fun time had! After dinner we celebrated Laura's birthday by pulling her down from upstairs where she was getting ready for bed and surprising her with a cake. Sorry for the PJ shot, sis! 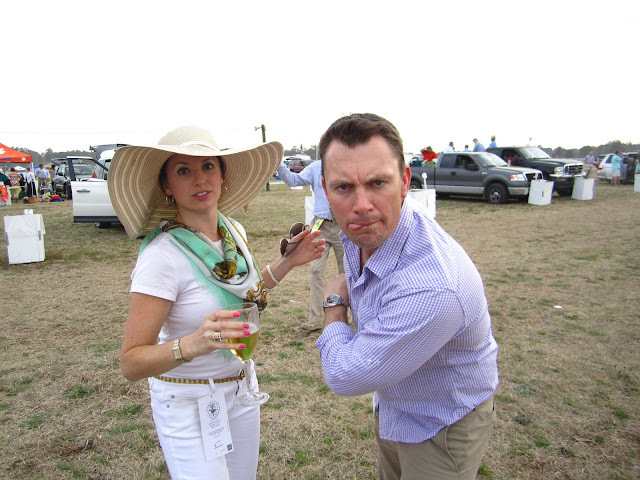 The next morning we arose bright and early to get ready for a full day at the races -- Carolina Cup! This awesome day is going to need a post of its own. It truly was a wonderful time, and we behaved very well all day long. Why yes, that is beer in a plastic wine glass. Keepin' it classy, ya'll. We all slept in on Sunday and had a very relaxing Easter together. Laura and Mom cooked a great Easter brunch -- sausage, bacon, biscuits with homemade gravy, fruit salad. The girls spent a good time working together on decor ideas for the lakehouse and the guys were all napping in the den by noon. Last night I just couldn't be bothered to leave the house to do a proper grocery store run, so we ended up with the most random dinner pulled from the pantry and freezer -- sauteed shrimp, black bean cakes, and french fries. And then, Ian told me it was a great dinner. HA! I just adore that easy-to-impress guy. 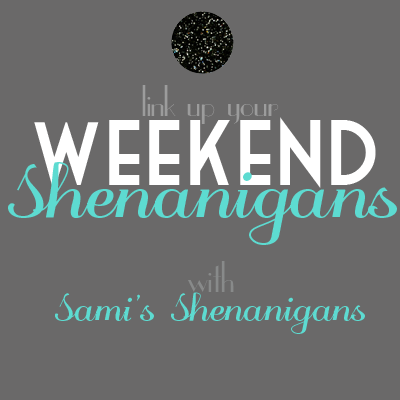 Linking up with Sami's Shenanigans this week! love those pics from the Carolina Cup! sounds like a great Easter weekend! 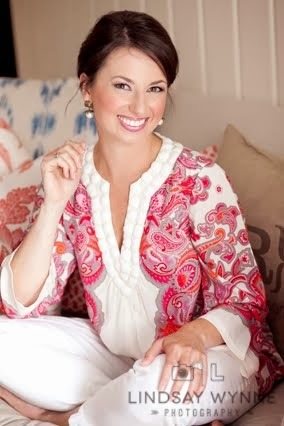 Wearing white to the cup is a BALLSY move girl! :) LOVE the outfit though! Hope you guys had a blast. Loved your Cup outfit! As I said on IG.. you looked smoking hot! 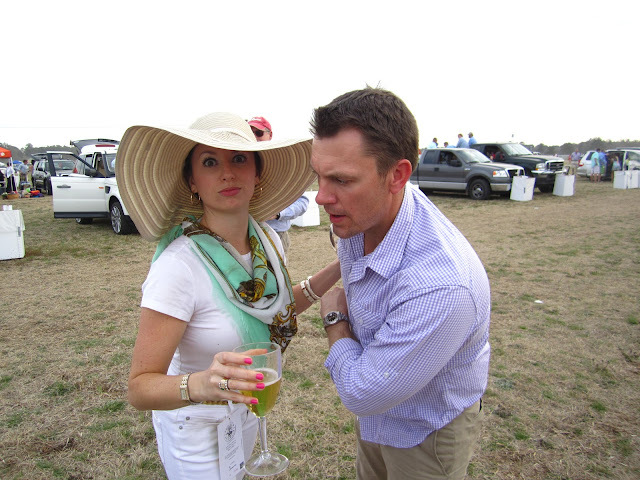 I seriously LOVED your outfit at the Carolina Cup - so chic!! It's fun to be the awesome family! Glad you all had a great weekend! Lots of fun! Can't wait to hear about the Cup! What a fun family weekend! Love your outfit and that HAT! I am loving your scarf!!!!! Your outfit looks sooo ellegant! Looks like a great weekend! I can't wait to hear about the Cup! Oh I miss Carolina Cup. I wish I could go back to the college days. Andrew loves those rando meals. He says its like he back in college at a buffet of his fav foods! Lol! My husband is easily impressed by simple meals too. Which is great for me, since I am not the greatest cook. It looks like an amazing weekend! You look SO classy in that white and hat at Cup! Even if you do have beer in the wine glass, haha. I think I have the same PJ pants as your sis. Happy birthday Laura! Looks like a great day was had, a fun one too. Good pictures, weather completed the day.